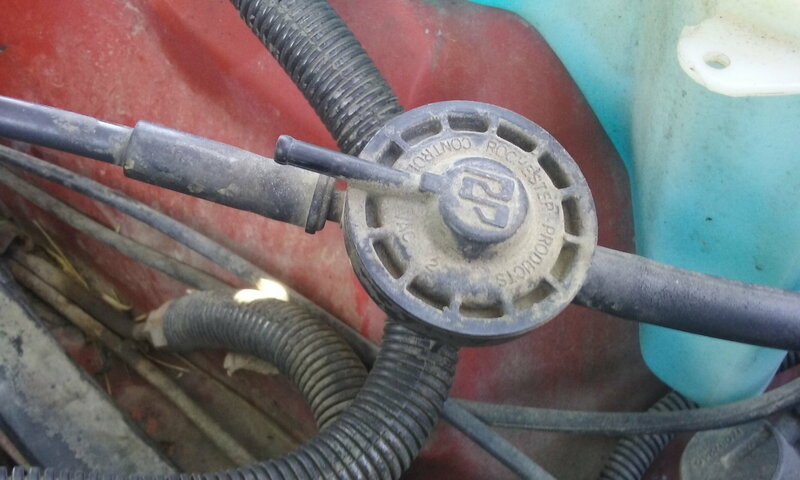 Do you have photos of the actual hose routing from the canister to where they connect to? My 88 gta 5.7tpi canister with 2 connectors coming from it. One going into the control valve, with the control valve with 2 connectors coming from the side. one connector goes to a thin hard black line which I guess goes to fuel tank. Where does the other connector go to? 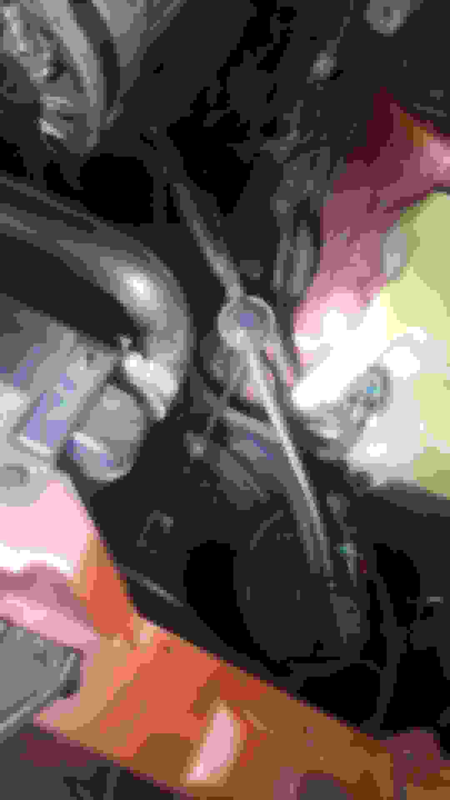 The schematic shows a hose connector coming from the bottom of the control valve with hose going back into the hose coming from canister to control valve. My control valve has no hose connector under it. Both connectors are on the top on side pointing out. Also what size is the other hose coming from canister to throttle body? Is the end coming from canister smaller then the other end going to throttle body? I am asking cause I disconnected them a long time ago, misplaced photos I took so now I can't figure out how they go. Yes that means I SNAFU'd. I have photos of the canister and connector if some one needs to see them. Unless I can find another 5.7 tpi gta here in san antonio to compare to, then I would be ok.
Wrong forum. I only have Camaro diagrams. Sorry. I don't have any pictures. Sorry. Look on the first page bro. All the diagrams are there. Look on page 1. It has all the vacuum lines that I have. Vacuum diagram for 1991 S10, 2.5? 3rd Gen F Body only. 1987 5.0 TPI diagram please. Thank you all. I followed the link to the diagram and all is copacetic. I just lost a long paragraph with parts #'s and description and now you are offline. I'll keep this one short. I have a 1989 IROC-Z w/ TPI and a 5.7L. The car has Edelbrock Aluminum Heads #60859 and Hedman headers. I need head, intake, and Exhaust gaskets. I've narrowed it down to a few choices but I am still unsure as some of the items I need are discontinued. Here is what I have found: cyl. head: Edelbrock #7310 or Fel-Pro #HS 7733PT-15(head gasket set w/Perma-Torque) or gm#-10159409. Intake manifold: Fel-Pro #MS930351. Please feel free to recommend the correct gaskets. also any opinions on the Perma-Torque or MLS or composite gaskets for Aluminum heads w/ a cast iron block. Are the gaskets for the 5.7L and the 5.0L the same? I'm going to send this before I lose it. 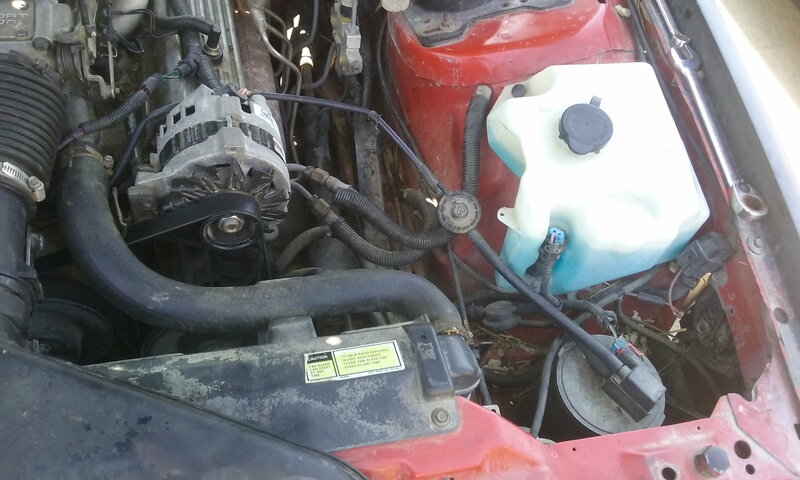 The car has a stock intake manifold. Thanks for any help. Yea, I thought I was doing a private msg to eseibel67 but I am no computer expert. I've tried 4 times now and I am getting really tired. My last attempt was an e-mail and I don't think he got that because I'm not sure if this site has my e-mail. I wanted to e-mail because I need this done yesterday. I might try a pm. If you want to do me a solid send the above paragraph with all the gasket part #'s to eseibel67. Thanks man. Thanks for taking the time to upload these! Do you have a schematic for the vacuum lines that are attached to the HVAC dash controller for a 1988 IROC 5.7L , lines inside the car? 84 Trans Am 5.0L "H" auto. 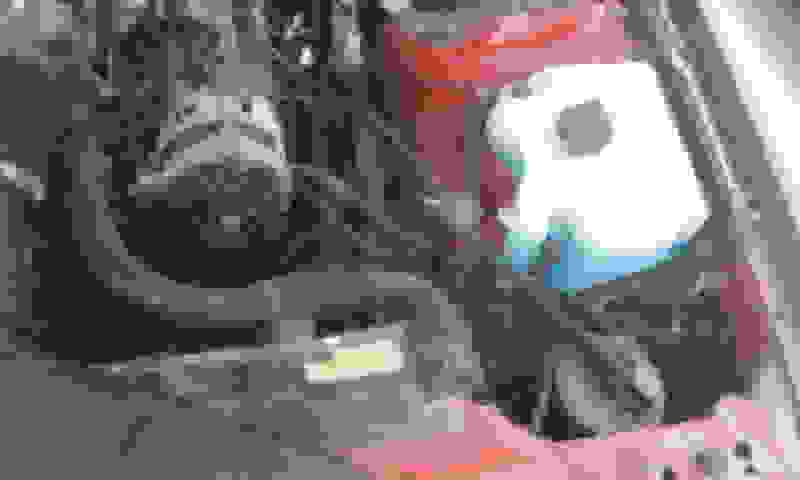 I'm going to a mechanical advance distributor and M4ME quadrajet carb. I'm removing the air pump, air management, EFE & EGR. But I am keeping the charcoal canister with its CCV and Purge TVS. Do you have any export (non-CCC) diagrams? Attached is what I came up with - 2 different versions for connecting the CCV. My car's original diagram is XJW. Last edited by NoEmissions84TA; 05-27-2017 at 06:10 PM. Thanks for sharing these diagrams, I found exactly what I needed. I still need 1984 5.0L CARBURETED; CANADA, please. Hi, do you have 1990 5.0 tbi please? PLEASE. You list in the 1st post, but there is nothing to click on. I’m new to this. Why is it that i can’t see the pictures of the diagrams? 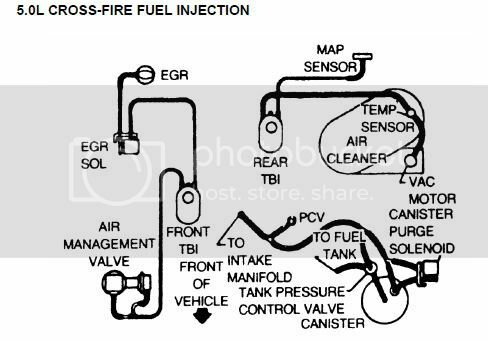 Need vacuum diagram for 1989 firebird. 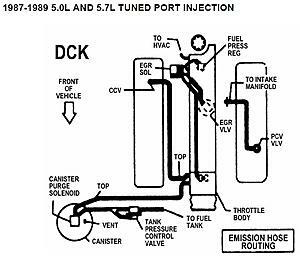 Need diagram for 1989 Firebird 305 tpi. Why is it that I can’t see images/pictures on the site? Thanks! Why can’t I see the pic? 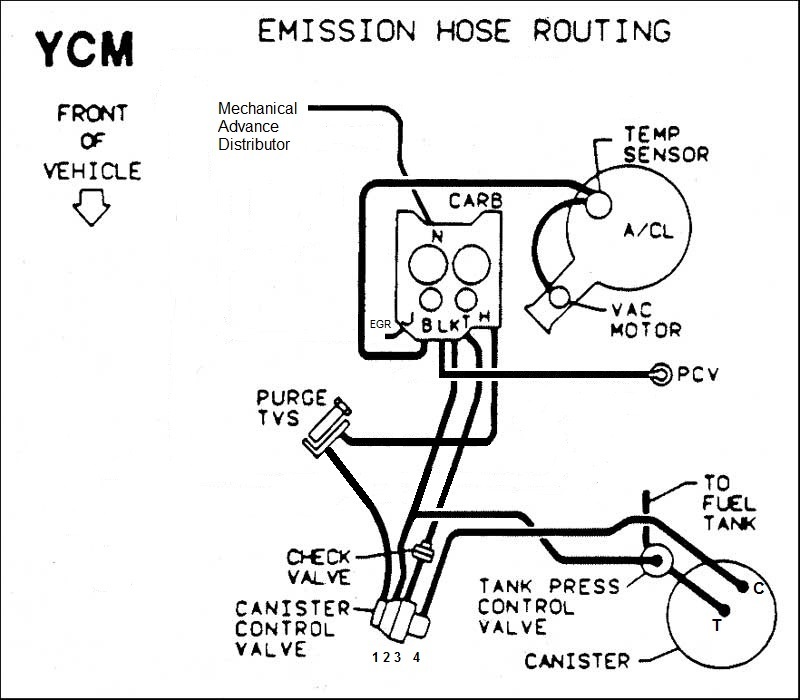 Hi, I need the vacuum diagram for a 1983 chevy k5 blazer 4x4 with a 350 v-8 4 barrel. Do you have that? I see it written out in the first post but how do I download the file? Did the thirdgen camaro ever have a 6.0L from the factory? From what i can tell the 82 never came from the factory with a 350 either. If its a transplant, go find the year of the motor itself, then look for the diagrams. or look for the 82 with the 5.0 - and match the hosing up from there. I can't get the link to work for the 82 5.0L... any chance you could send it in a PM? Open the link at post #239 and you will find this diagram. I don't have TPI myself, but the connection in your picture has to connect to a vacuum source. I have a similar set up. But I don't have a valve in the hose coming from the gas tank. Should I? And the diagram has no valve going to the intake. Good morning, First of all, I am sure that I speak for all of us, Thanks for your hard work. I printed out what I need. It'll help me to finish my 305/350 swap. I was wondering if you could find it in your heart to post sensor diagrams for 1986 5.0L 305 TPI and 1990 5.7L 350 TPI. I would like to finish up the wiring re-route within this next week and get the rest of the mechanical done. I haven't heard my 86 IROC run for a year. I am still running all the smog and stuff as well to keep it looking stock. "Sofakingdom" helped me immensely on my engine mechanicals, so I have the .502 grind cam and all the comp cam goodies on it that he prescribed. Also have a nice performance cat that is a 1/4 of the size of the stock one, 3" the rest of the way back to a flow master system. Why would you think to look for vacuum diagrams for a truck on a f body forum !